IBASSIN: Kevin Van Dam Wins 2017 BASS Elite St. Lawrence River with 90-03lbs! 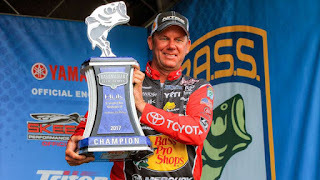 Kevin Van Dam Wins 2017 BASS Elite St. Lawrence River with 90-03lbs! Van Dam Slays them on Sunday!